"We will have very cool project news" That was posted on Daniel's official Google+ page yesterday. What's the news? 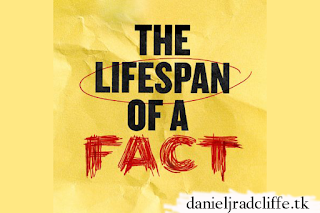 Well here it comes: Broadway World has announced that Daniel will star in the Broadway play The Lifespan of a Fact. Co-stars are Cherry Jones and Bobby Cannavale. The play is written by Jeremy Kareken & David Murrell and Gordon Farrell, and will be directed by Leigh Silverman. It's based on the book written by John D'Agata and performances will begin on Thursday 20th September 2018. The opening night is Thursday 18th October 2018. The production will play for 16 weeks only at Studio 54. Jim Fingal (Daniel Radcliffe) has a small job: to fact check articles for one of the best magazines in the country. Jim Fingal's boss (Cherry Jones) has given him a big assignment: apply his skill to a groundbreaking piece by legendary author John D'Agata (Bobby Cannavale). And now, Jim Fingal has a huge problem: John made up some of his article. Well, a lot of his article. OK, actually, maybe the majority of it? What starts professional quickly becomes profane as one question rises to the surface: Can Jim Fingal ever just shut the fact up? Tickets are on sale beginning this Friday 8th June 2018 at 10am EST. Members can purchase tickets before the general public by visiting telecharge.com or calling 212.239.6200. Tickets are on sale beginning on Monday 18th June 2018 at 10am EST by visiting audiencerewards.com. Tickets are on sale beginning on Friday 22nd June 2018. 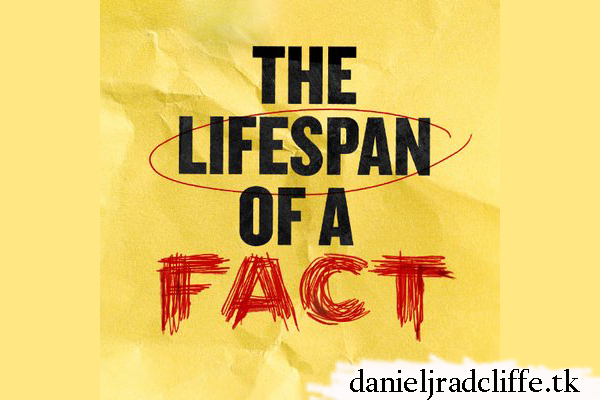 For more information visit the play's official website: lifespanofafact.com. DJR Holland is 12 years online!